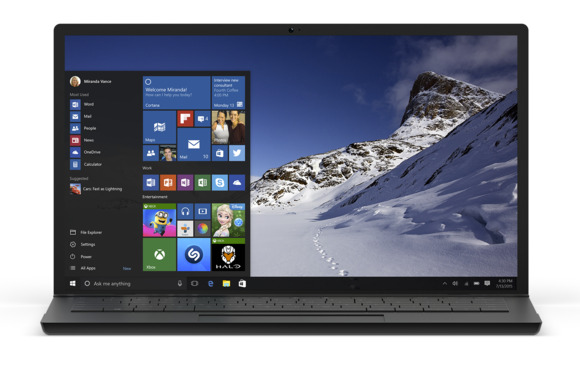 Pin all kinds of specific app content to Windows 10's Start menu, not just an app's home screen. You haven’t customized the bejesus out of Windows 10’s Start menu unless you’ve done deep linking. Sure, you’ve rearranged the left side of Windows 10’s Start menu, gotten your tiles just the way you like them on the right, and even added some website shortcuts to the mix. But with deep linking you can pin specific pages from within a Windows Store app to your Start menu. Say you’re reading an ebook with the Kindle for Windows 10 app. You can pin the book itself to your Start menu instead of the entire Kindle app. That way you can always jump right back into your book even if the last time you closed the Kindle app you were looking at something else. Pretty cool, right? Here are a few more examples of how you can use deep linking to practical use. Note: Deep linking is only designed to work with Windows Store apps (versus traditional desktop apps) but not all of them support the feature. Keep one or more mail folders close at hand. 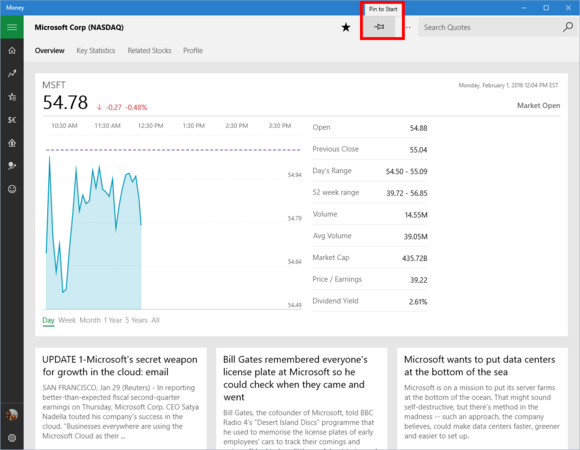 If you need quick access to a specific mail folder, such as an alias on Outlook.com, Windows 10’s built-in mail client can help. Open the app, right-click the folder you’d like to add to your Start menu, and select Pin to Start. 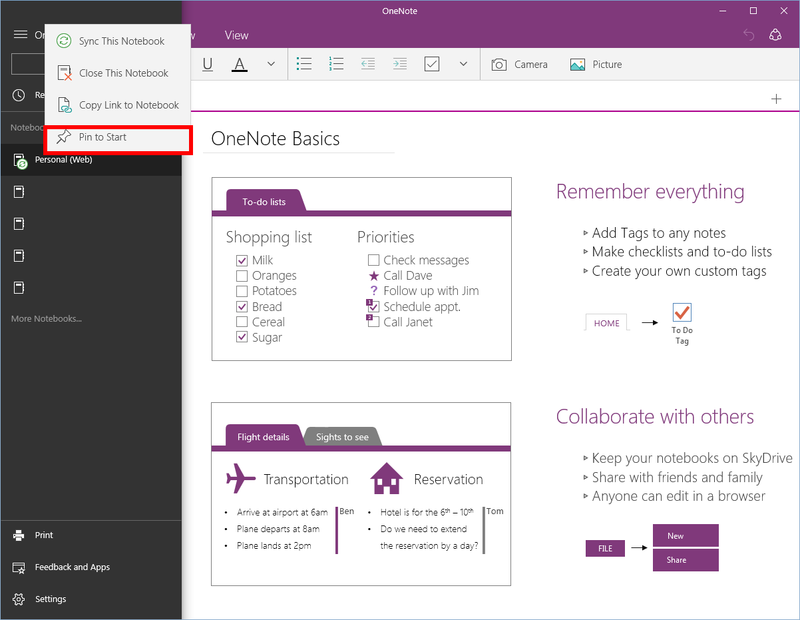 Using the Windows Store version of OneNote, you can pin all kinds of things to Start, including an entire notebook, a specific section, or an individual page. Just right-click whatever it is you want to pin, and select Pin to Start. Pin a frequently used OneNote folder to the Start menu. Planning a trip or going somewhere new in town? You can pin a specific location you search for in the map app. Look for the thumbtack icon in the search results to pin a location to Start. Search results from Maps? Yes, pinnable. Groove Music allows you to pin albums, playlists, radio stations, and songs to Start. Even better, once you click on that tile, it will start playing automatically when the app opens. Right-click on content within Groove to find the Pin to Start option. Following stock prices and news for a specific company gets a lot easier when you have a live tile on your Start menu keeping you up to date. Look for the thumbtack icon inside the Money app’s search results. Keep a close eye on a company’s stock price via a Start menu live tile. These are five examples of how you can use deep linking to keep important information just a tap or mouse-click away on your Start screen. Now if only Microsoft would activate deep linking for the Solitaire app.